Specifically engineered to mount Apple computer monitors and LED displays (pre-2013 models). Your display will also be able to tilt over 135 degrees with a height adjustability of 13 inches up or down. 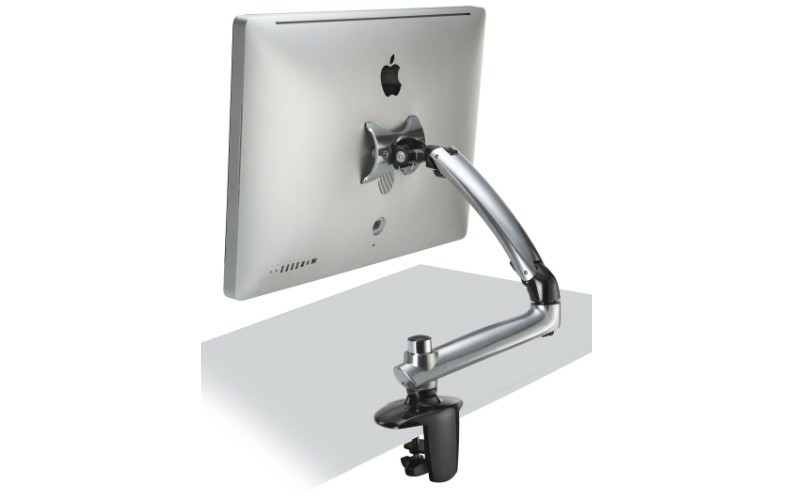 The articulating arm has integrated cable management which means it can hide, bundle, and organize your cords beneath the arm. Solid aluminum die cast construction supports and maintains up to 30.8 lbs of weight.